We, like millions of Italophiles worldwide, were saddened last week by news of the terrible loss of life and property in the bucolic villages in the Appennine mountains straddling the regional borders between Lazio, Umbria, and Le Marche. The earthquake which struck this area was one of the country's most serious in recent years, and was a stark reminder of how precious - and how tenuous - Italy's cultural heritage and historic landscapes are. 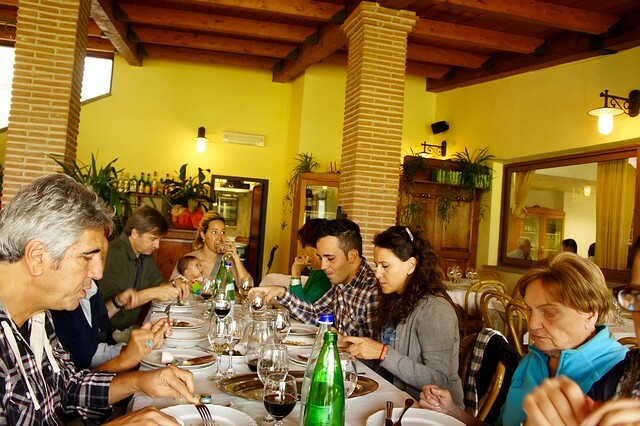 As our thoughts turned to selecting the favorite restaurants we've enjoyed in the past 12 months for our annual short list, we remembered the two Sunday lunches we have enjoyed in the towns of Amatrice and Accumoli, both of which were largely destroyed in the initial quake and aftershocks. This area is about an hour and a half from our home in Foligno, the perfect distance for a Sunday drive and lunch, with breathtaking scenery of rugged mountain slopes dotted with tiny, rustic villages along the drive. 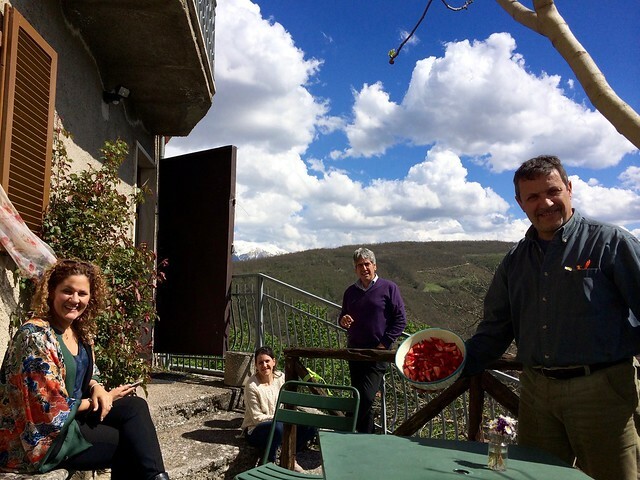 Amatrice was the home of the iconic Hotel Roma, famous for its Spaghetti all'Amatriciana and a beloved destination for families and groups of friends looking for a break from the city. Over the years, the hotel's restaurant expanded a bit too much for our taste, becoming more of a “dining hall” than a restaurant, and its Amatriciana probably suffered. That said, Hotel Roma was a landmark, serving traditional cuisine to a dining room teeming with extended families enjoying Sunday lunch in the countryside. It has now been completely destroyed. 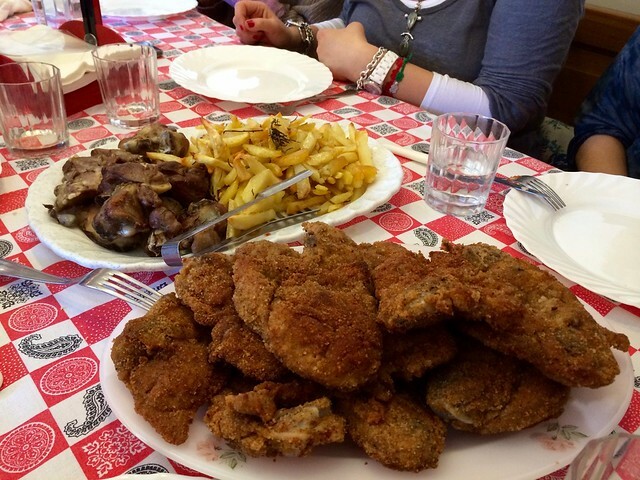 For Pasquetta two years ago, a friend invited us to his hometown of Accumoli, a tiny village not far from Amatrice, and the family served an unforgettable rustic lunch of lamb chops. It was a perfect day, with a bright blue sky overhead and fresh mountain air ideal for working up an appetite. Over the years, this hill town had become primarily a country respite for Romans, with a heavy migration of locals moving to Rome for work. It was heavily damaged in the earthquake, and almost a dozen locals were killed in collapsed houses. It is hard for us to contemplate the scope of the tragedy that has befallen these two beautiful towns, but we hope that the spirit of family and community that they nourished over the years will inspire a commitment to rebuild so that one day we can return. From Absolut Vodka ads to Pixar films, nothing has been used to symbolize Italy's unique knack for blending pragmatism with design like the iconic Vespa scooter and Fiat 500 compact car. And after the Leaning Tower of Pisa and the Colosseum, nothing is more often photographed than a brightly painted Cinquecento or Vespa parked jauntily in narrow Roman backstreets or against the backdrop of a bustling historic piazza. 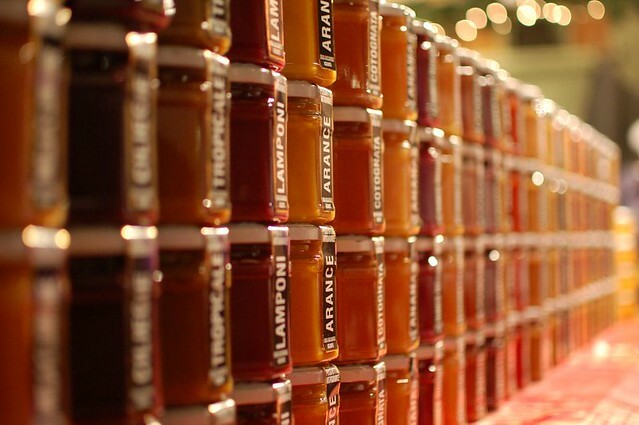 It's that time of year when grocery stores in Italy are stocked with a dozen different shapes and sizes of glass canning jars and bottles, and many Italians spend the weekend chopping and seeding fruit to make a variety of different sweet and savory preserves. The canning season peaks in summer, as tomatoes ripen for canned sauce (or, for the purists, whole peeled tomatoes), and peaches, plums, apricots, cherries, and other stone fruits are at their best. But Italians preserve well into the winter, cooking up pots of orange and lemon marmelade and jams made from quince and persimmon to give as Christmas gifts or brighten up breakfast. Italy has a strong tradition of preserving everything from meat to vegetables, rooted in millenia of poor rural agricultural economies where frugality made the difference between surviving the winter months and leaner seasons. Though most Italians now live in cities and no longer have a kitchen garden or orchard, come summer you will still see customers purchasing cases of fresh seasonal fruit or ripe San Marzano tomatoes at the local market to make homemade preserves just like their grandparents. 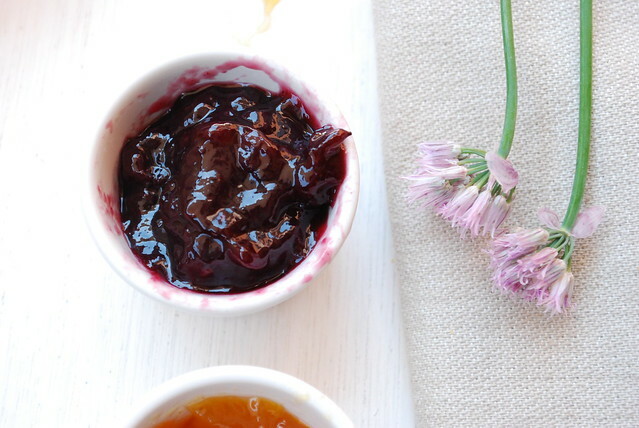 Though most of this goodness is limited to family consumption, there are also excellent artisan and farm preserves which can be bought and samples at local gourmet shops and farm stores. 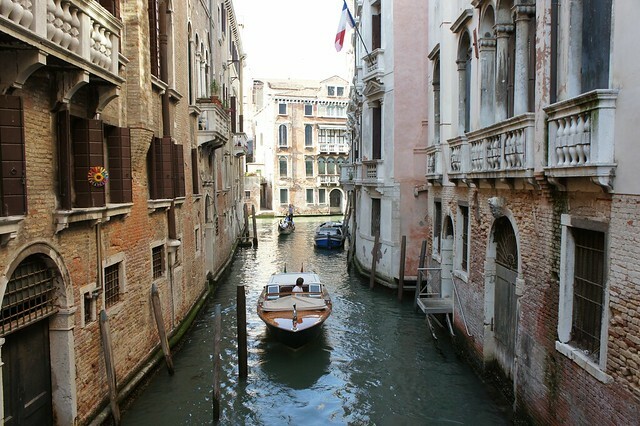 This year marks the 500th anniversary of the founding of Venice's historic Jewish ghetto, which has recently undergone a 2 year, multi-million dollar renovation and has been inducted into UNESCO's World Heritage Sites. But Venice isn't the only city in Italy where there are fascinating traces of Italy's historic Jewish population, which is one of Europe's oldest and was founded by early immigrants to Rome when Judea was part of the Roman Empire. Ancient Rome was particularly tolerant of Jews, and as the Roman empire fell and Christianity took hold, Jews who lived closer to Rome were less persecuted by the Papacy than in other European countries, where there were often mass deportations during the Middle Ages. In modern times, more Jews survived the Holocaust in Italy than almost any other country in occupied Europe and historic synagogues and other Jewish heritage sites were largely left intact, even during the harsh reign of Fascism. 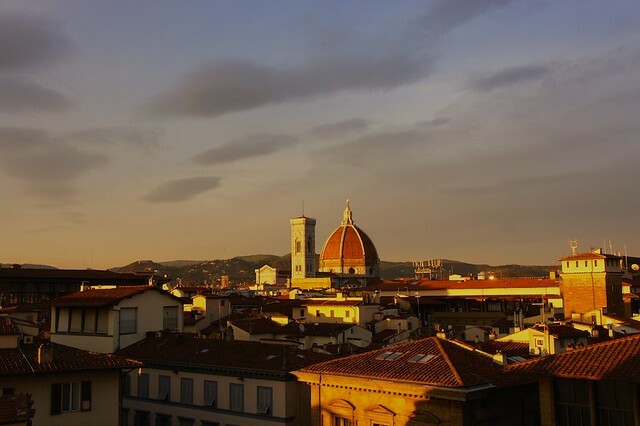 Because of this long history of vacillation between tolerance and peaceful coexistence, Italy is home to a number of interesting Jewish monuments and sites, some of which date to the very first Jewish settlements. Among the most interesting Roman ruins are the remains of the Ostia Synagogue in the archaeological site of Ostia Antica. Dating from the 1st century AD, this is believed to be the oldest synagogue ever discovered outside of Israel.Very little of the original building remains, though there are inscriptions referring to a series of Torah arks and there is a carving of a menorah on one of the remaining columns. Italy is home to a number of important Byzantine mosaic masterpieces, most famously in Rome's Church of Santa Cecilia, Venice's Basilica of Saint Mark, and San Vitale and Sant'Apollinare Nuovo in Ravenna. The extent of the Byzantine Empire was not limited to mainland Italy in the 6th century AD, however, but extended across the Strait of Messina to include Sicily, as well. Byzantine influences can be seen in some of the most stunning Norman churches in Sicily, and breathtaking mosaics decorate a number of churches and cathedrals in and around Palermo. 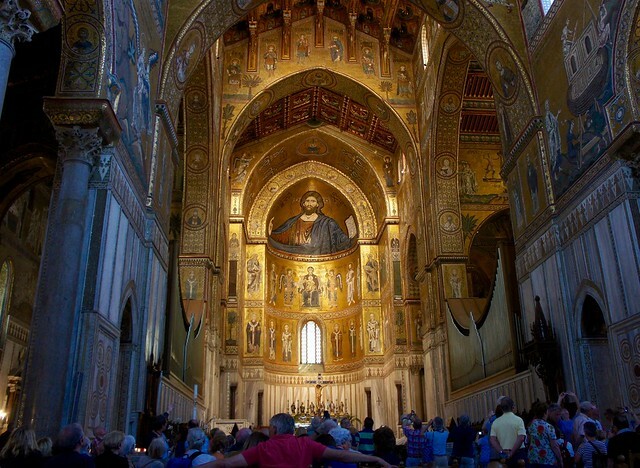 The most famous of these are in the Cathedral of Monreale, home to the largest cycle of Byzantine mosaics in Italy. The interior of this imposing Norman church is almost entirely covered with ornate mosaics, and it is estimated that craftsmen from Constantinople used over 2,200 kilograms of gold to make the 100 million tessarae (individual tiles) featured in these magnificent works.